This weekend, for the first time in a while, I started to doubt Tottenham’s title credentials for the season. Six months ago I’d have been delighted for Spurs to finish the campaign in the Premier League top four with a good cup run or two. That would represent significant progress – especially in light of the other big clubs in the mix and the vastly superior resources at their disposal – while providing a solid platform to improve the side and build for the future. But football is a funny old game and it has a unique way of turning perfectly level-headed people into giddy, idealistic dream-chasers. Following Leicester’s draw against West Brom less than a week ago, I fully expected Spurs to win the following night and go top of the league. Caught up in a dizzy daze of delirium, I could see no other outcome. At long last, it was Tottenham’s time. Of course, I realise that the current West Ham side are very tough to beat, especially at the Boleyn, and that this would be their annual cup final. But the way Spurs had been playing recently, I could see them beating anyone and this game wouldn’t be any different, surely? Wrong. West Ham won, Spurs lost – an opportunity missed. I was brought fully down to earth on Saturday as a hard-fought Spurs draw in the North London derby, coupled with Leicester’s narrow last-minute win, saw the Foxes extend their lead at the top of the table to five points. And then it hit me – the realisation that the league title, this holy grail that has eluded Tottenham Hotspur for over fifty years, may have extended just that little bit out of their reach again. Admittedly there’s a long way to go. And obviously Leicester will drop points in their remaining league games. They aren’t that good, are they? But I fully expect Spurs to do the same. Of Tottenham’s last nine games, three of them are against Chelsea (A), Liverpool (A) and Man Utd (H). The return fixtures this season have only seen Spurs pick up two points. I honestly don’t expect many more the next time the sides meet. Even looking at it statistically – by forecasting Spurs results between now and the end of the season – sees them pick up around 17 points out of the remaining 27 (five wins, two draws and two defeats). To overtake Leicester, even on goal difference, would require The Foxes to rack up no more than 12 points from their remaining nine league games. It’s a possibility, but a highly unlikely one at best – especially considering the fact they’ve only lost three times this season. In fact it would require a collapse of Liverpool-circa-2014 standards to achieve that sort of turnaround. Add to that the fact that Spurs have two legs of a tricky Europa League tie against Borussia Dortmund to look forward to over the next few weeks. Considering Leicester have no other competitions to worry about this season, it becomes increasingly hard to believe that Spurs will be the ones lifting the Premier League title in May. It’s fair to say that the next two league games are pivotal for Tottenham – Aston Villa away and Bournemouth at home. They are both winnable matches and Tottenham will be expected to pick up maximum points. Fail to make up some of the gap on Leicester in the next fortnight and it might really be the end of their faint title hopes. There’s no doubt that fan expectation (including my own) has been piqued significantly in recent months and looking back it appears to have been a touch misguided. This title challenge may have come a season or two too soon for the current Spurs side. However a top four finish (or even top three or two) still seems a distinct possibility. With that comes the opportunity to strengthen the squad with an even higher calibre of player which in turn will allow them to compete for the title on a more regular basis. Think of this as just the beginning and not the end. 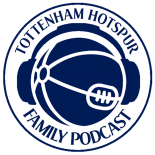 This entry was posted on 09/03/2016 by javadmovahedi in Uncategorized and tagged COYS, premier league, spurs, thfc, tottenham fc, Tottenham Hotspur, Tottenham Hotspur Football Club.